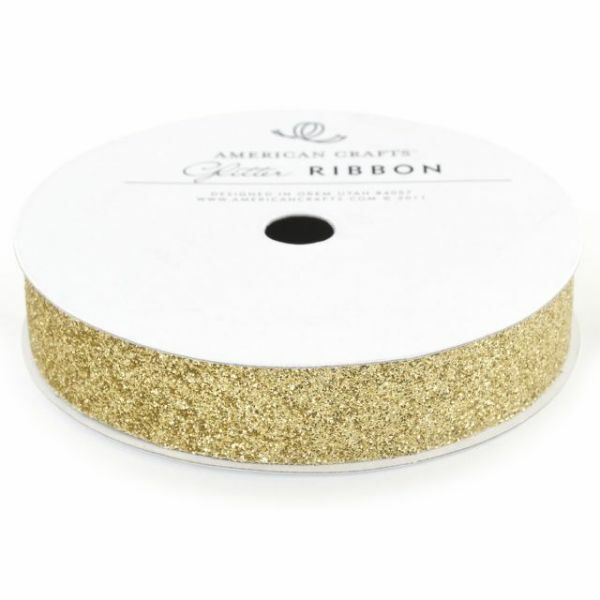 Solid Glitter Ribbon .625"X3yd - AMERICAN CRAFTS-Glitter Strips. Add sparkle and shine to your next project with ease. This package contains one 3 yard roll of 5/8 inch wide glitter ribbon. Color: Gold. Archival quality. Imported.